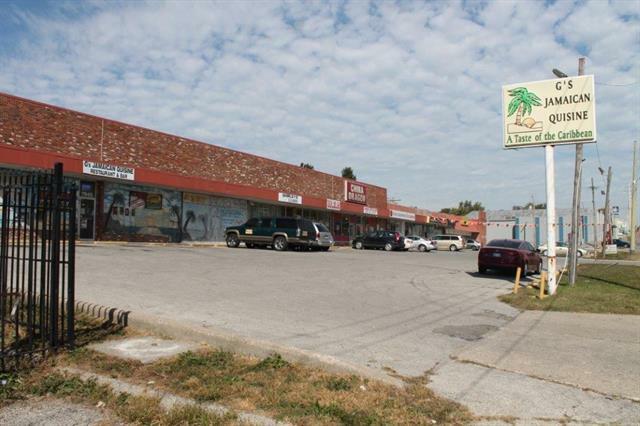 Retail space for lease: 79247926: 1,000-2,120 SF at $750.00 - $1,590.00/MO; 7934: 1,290 SF at $970.00/MO.Corner lot w/304 Troost frontage w/2 curb cuts. 31 off-street parking spaces available. Reader board and monument sign potential. Join tenants: Gs Jamaican Quisine, Shirleys Dry Cleaning, China Dragon, Praise Chapel & Discount Auto Insurance. Listing courtesy of Re/Max State Line.